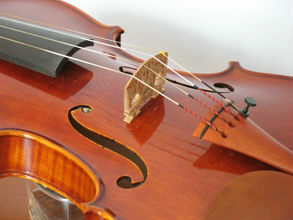 We offer both new and used instruments. The prices below are for new instruments. Prices include bow, case, and rosin. You can come in anytime for free maintenance. Prices do not include PA 6% sales tax. Please call or e-mail us to check for availability and so that we can prepare some instruments for you to try.